October 14, 2013  After more than 50 years, Bill Baker returns to the island in an effort to analyze his life. October 4, 2013  The latest on Miriam Carey, the Connecticut dental hygienist who was shot and killed by Capitol police Thursday after she drove into barriers near the White House and led police on a chase through Washington, D.C., streets. June 10, 2013  Booz Allen Hamilton, the multi-billion-dollar employer of the National Security Agency leaker Edward Snowden, has one customer: The United States government. And that customer entrusts it with some of its most closely-held national security secrets. May 16, 2013  Federal officials met with South Dakota's nine Sioux tribes on Wednesday for a historic summit in Rapid City. A year in the making, it was an effort to address long standing concerns over the high number of Native American children the state places in white foster homes. State officials, however, didn't show up for the meeting. April 19, 2013  Laura Sullivan tells Robert Siegel that she has been learning more about the older suspect, Tamerlan Tsarnaev. She's been talking with three women who knew him when they were in college — and they paint a dark picture. April 7, 2013  Ten million people funnel in and out of our nation's jails and prisons every year. And every year, some of them get lost. Recently there have been two high-profile cases of such inmates — one who got out years too early, and one who stayed years too long. Both cases had disastrous consequences, but there's no easy fix to this problem. This story originally ran on Morning Edition on April 5. April 5, 2013  Every year 10 million people funnel in and out of America's jails and prisons. And every year some of them get lost. Recently there have been two high-profile cases of such inmates — one who got out years too early, and one who stayed years to long. Both had disastrous consequences. 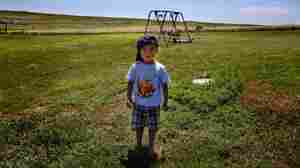 February 6, 2013  Eight tribes have delivered a report to Congress saying South Dakota is willfully ignoring a federal law meant to protect Native American children. Several lawmakers are demanding action. The Bureau of Indian Affairs on Wednesday agreed to convene a summit meeting of key players, and says it will urge state officials to respond. November 30, 2012  The coalition said the state appears to have violated The Indian Child Welfare Act by placing children with non-native families. July 1, 2012  Millions of Mexicans went to the polls Sunday to elect a new president. The PRI's Enrique Pena Nieto carries a double-digit lead over his nearest rival in most polls. 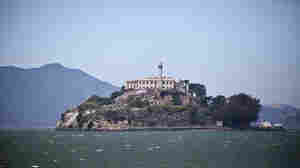 June 12, 2012  The legend of the escape from Alcatraz has always held that Frank Morris and Clarence and John Anglin would return for the 50th anniversary of their famed 1962 prison breakout. 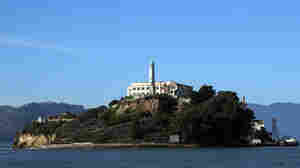 Return To Alcatraz: Will A Legend End After 50 Years? 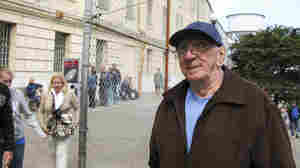 June 10, 2012  One of the most daring prison escapes in U.S. history happened 50 years ago Monday. Legend has always held that if the three men who escaped from Alcatraz are still alive, they will return on this anniversary. Unlikely as it seems, NPR's Laura Sullivan — and the U.S. Marshals — plan to be there. 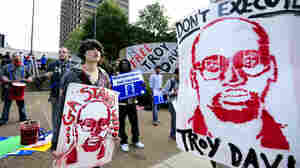 March 24, 2012  As the Supreme Court heard arguments this week on sentencing juveniles, more than a dozen families of teenagers sentenced to life without parole came to Washington to advocate hand-in-hand with the families of the people their children murdered. 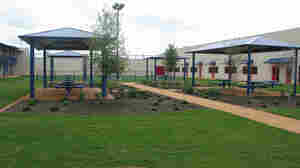 March 14, 2012  The Karnes County Civil Detention Center in Texas will house mostly low-risk detainees awaiting deportation or facing court. With features like a pharmacy, commissary and soccer field, it's a departure from other Immigration and Customs Enforcement facilities that critics have called excessively harsh. December 15, 2011  A new report says just 78 offenders were handed capital sentences this year, marking the first time in more than three decades that fewer than 100 people were sent to death row. Some experts say Americans are becoming ambivalent or opposed to the death penalty, but others note that may be because there is another option: life without parole.